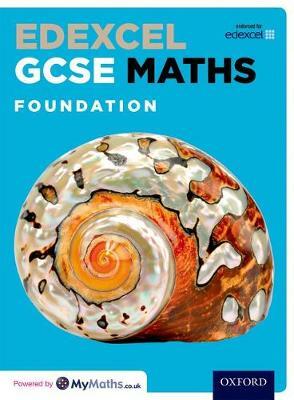 Edexcel GCSE Maths, Foundation Student Book has been created by experts to help deliver exam success in Edexcel's new Maths GCSE. Written for Foundation tier students, the book focuses on developing students' fluency in key mathematical skills and problem solving using carefully chosen examples and extensive practice. Powered by MyMaths the book links directly to the ever popular web site offering students a further source of appropriate support.